This year, the Celluloid Bainbridge Film Festival will feature a special series of documentaries that thread stories about Japanese American Exclusion, Bainbridge Island, and Manzanar, which was the first confinement-site where people of Japanese descent were incarcerated during WWII. A special added fourth film includes a journey back to Minidoka, the camp where most in the Puget Sound area were incarcerated. After Silence: civil rights and the Japanese American WWII Exclusion, by Lois Shelton, which documents a group of Bainbridge High School photography students working with Dr. Frank Kitamoto on a collection of images documenting his experiences with the Exclusion. Dr. Kitamoto was one of the founders of the Island’s Only What We Can Carry (OWWCC) Project. Sadly, he passed away earlier this year. Brenda Berry’s Only What They Could Carry – Return to Manzanar, which tells the story through the lens of a delegation of Bainbridge Islanders who journey to the former Manzanar concentration camp as part of the Island’s OWWCC project. 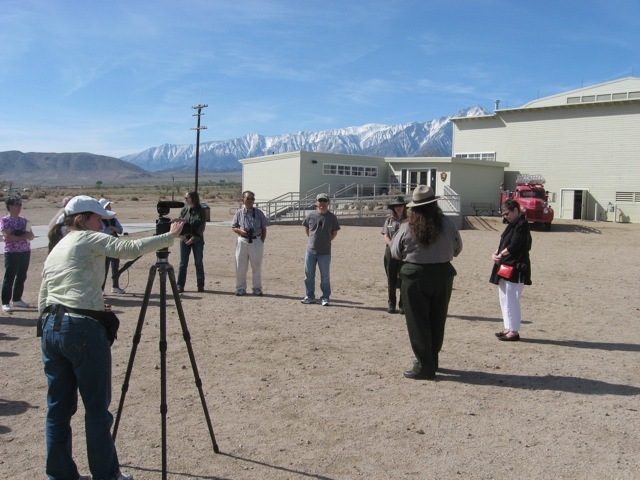 EduCulture Board Member Brenda Berry shooting Only What They Could Carry at Manzanar. EduCulture’s OWWCC, with Bainbridge Island History Museum (BIHM) and Bainbridge Island Japanese American Community (BIJAC), will host a post-film panel discussion at the Festival featuring former delegates, along with educational resources about the experience of exclusion and its legacy for this Island community and beyond. Guest panelists for the discussion will be Kay Sakai Nakao, Karen McCormic Beierle, Mary Woodward, and Vern Nakata. The Manzanar Fishing Club by Cory Shiozaki, about a small group of Japanese Americans incarcerated at Manzanar who sought personal freedom by sneaking outside the barbed wire past armed soldiers to catch fresh fish in mountain streams. Fumiko Hayashida: The Woman Behind the Symbol by Lucy Ostrander and Don Sellers is both a historical portrait of Fumiko, her family and the Bainbridge Island Japanese American community in the decades before World War II as well as a contemporary story which follows then 97-year old Fumi and her daughter Natalie as they return to the site of the former Minidoka camp, their first trip back together in 63 years. 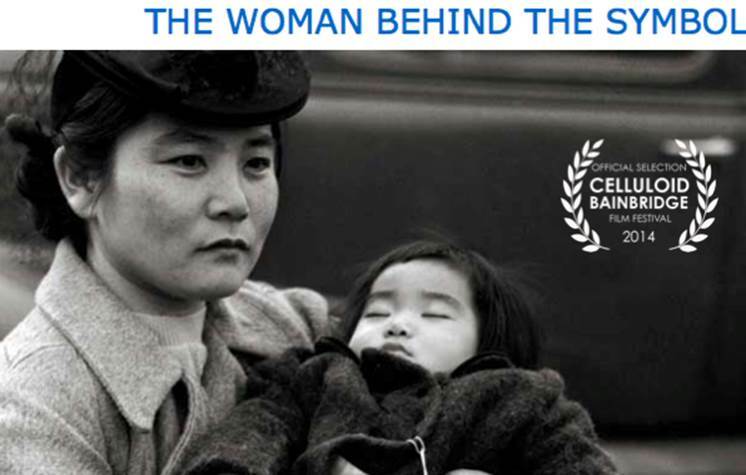 The film reveals how the iconic photograph of mother and daughter became the impetus for Fumiko to publicly lobby against the injustices of the past. Following the first three films, at 3pm the community is invited to attend a special memorial screening of Fumiko Hayashida: The Woman Behind the Symbol. Born on Bainbridge Island over 103 years ago, she was the oldest living Bainbridge Island Japanese American survivor of WWII. Fumiko Hayashida died peacefully in her sleep Sunday, November 2nd. To honor the legacy and memory of Fumiko Hayashida, a special memorial screening of this award-winning documentary will take place on Sunday, November 16th, 3 PM at the Lynwood Theater. The screening occurs at the same time a Celebration of Life memorial will be taking place in Seattle, and time for reflection will be part of this special Bainbridge Island event.